Every year it is one of the most anticipated events in SoWal and every year it sells out faster than any other. 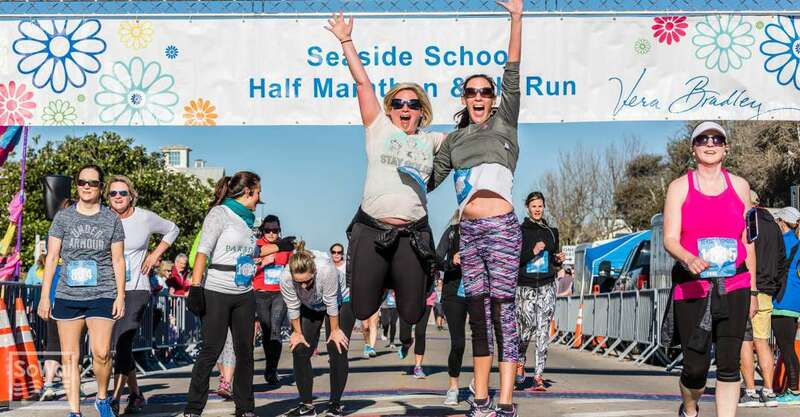 This coming your the Seaside School Half Marathon & 5K Run is on Sunday, March 3, 2019. Presented by Vera Bradley – All finishers receive a Vera Bradley tote! The course is fast and mostly flat. The half marathon is USATF certified, and will start and finish in downtown Seaside. From Seaside, the racers will run West along scenic Highway 30A, past the beach towns of Watercolor, Grayton Beach, Blue Mountain Beach, and Santa Rosa Beach, with the halfway point and turnaround at Gulf Place. Half marathoners receive custom finisher’s medallion, and both races give moisture-wicking race shirt, goody bag, lunch, and craft beer! Celebrate at the post-race party and enjoy live music! Purchase tickets at www.RunSeasideFL.com.